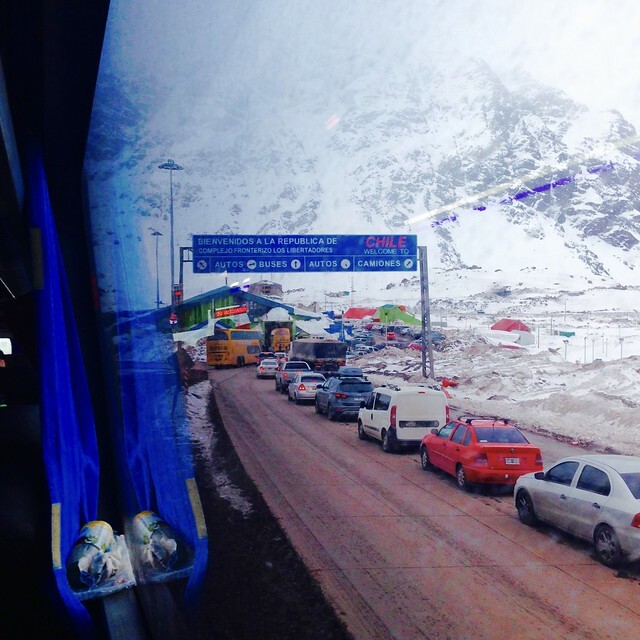 I woke up bright and early-ish to catch my 10-hour, 1030 departure bus that’d bring me across the Andes from Argentina to Chile. The morning was a bit of a snafu. I asked for a taxi, expecting one to show up immediately, but it took a lot longer than expected, because the Park Hyatt called one of their trusted cars for the trip to the bus station. But I didn’t miss the bus, so all is good. 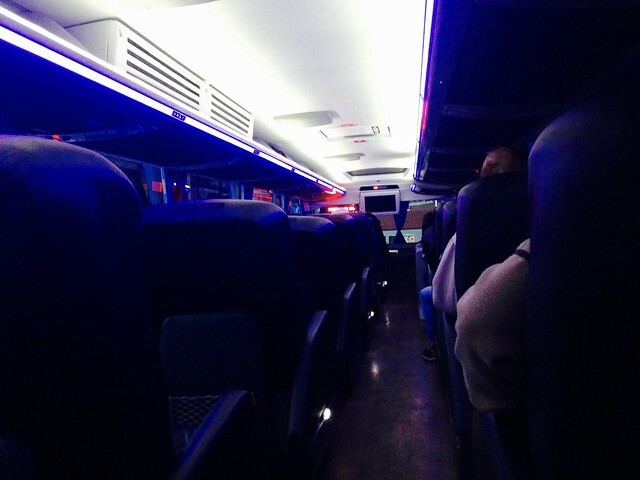 For this trip, I booked a second class bus, Cama-Ejecutivo for 500 ARS (~30 USD). It was a double decker, and the seats were 2 by 1. As I booked the ticket online, I was able to pick my seat as well, and naturally, I picked the solo seat. 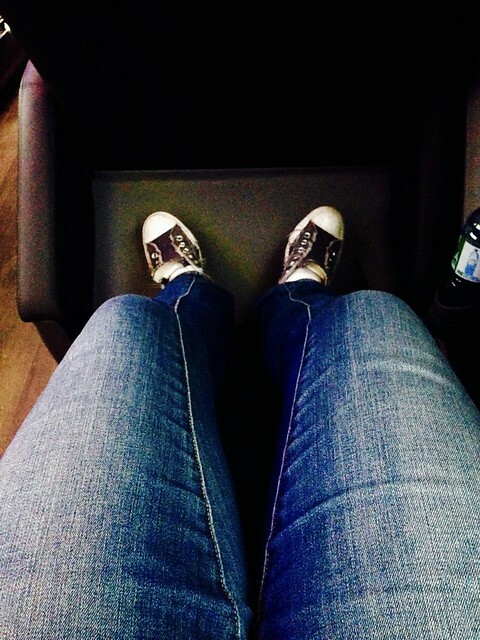 The leather seats were very comfortable, and there was a lot of legroom. Included in the ticket price, were also meal services. So there was a breakfast service almost immediately after departure, where we were given a package that included a sandwich and an alfajor. I sense this is a theme. 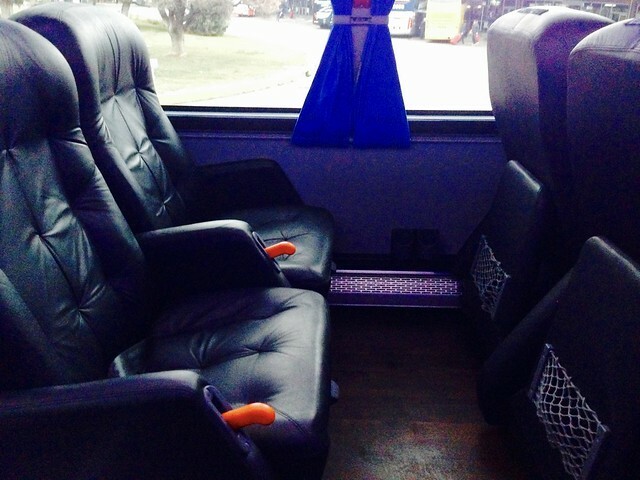 The bus attendant also offered hot beverages, and soon a movie about Chinese who were transplanted to the borderlands was played. I drifted between the state of sleep and being awake on the bus trip. I was very glad for the moments I was awake, because the snowy landscape was stunning. Families turned the snow-covered mountains into ski slopes, or other avenues of snowy fun. People were sliding down the hills. I wished I could have joined them! Due to traffic at the border crossing, there was about an hour spent waiting. The border clearance itself wasn’t that terrible, but inspecting our luggage, and just generally, waiting in turn for the administrative process to be over took up some time. The greatest treat was the portion after crossing the Chilean border. There are a lot of hairpins leading down to Chile. While watching the ginormous bus wind through these hairpins was rather harrowing, at the same time, it was a beautiful sight to behold. This was easily one of the highlights of my trip, and reminds me of why I like traveling – life’s marvels will just unveil themselves when you least expect it! I’d recommend this trip to anyone.